Announcer Chris Webber did not agree with some of the calls that the referees made in yesterday's game between the Los Angeles Lakers and the Houston Rockets. Webber criticized the referees' calls during the game on multiple occasions, saying that many fouls were called incorrectly. Well, sorry, Chris, but you're about to get a lesson in the rule book. 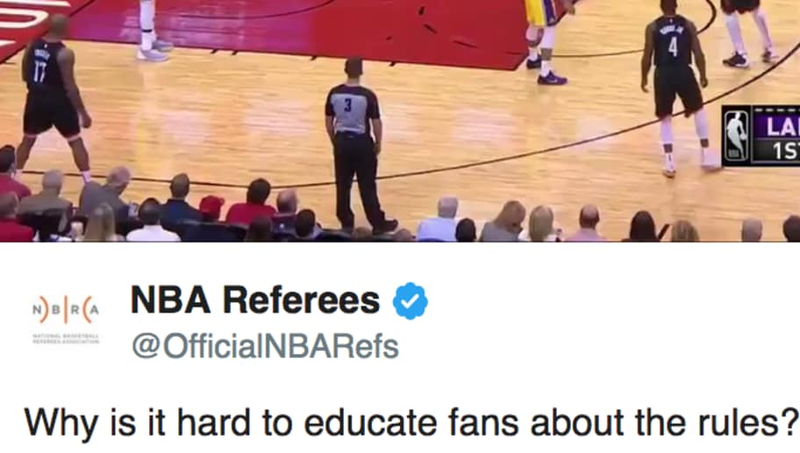 The NBA referees' twitter account disagreed with Webber and called him out on social media to get the point across. The account explained in plain English why each of the calls in question were, in fact, accurately-called fouls. It looks like there's a tone of frustration in the tweets that the NBA referees sent out, to be sure. Webber thought that this first call was a poor one, but the officials disagree. They point out the illegal contact of Kuzma's knee on Harden's thigh, showing that there was a foul there. It seems pretty clear that it is a foul after looking at it again. Webber's criticism seems to be unwarranted. In the second instance, Lonzo Ball clearly makes contact and fouls Harden. Webber does not see a problem with it, but it is easy to tell that Lonzo is trying to nonchalantly get in Harden's shooting lane without making a play on the ball. The NBA refs' frustration is easy to understand, because fans are getting mixed messages about what a foul is. Webber should leave the calls to the refs, whose job it is to actually identify the fouls. Stop feeding this pervasive narrative that they're calling a terrible game.